When it comes to choosing a rifle barrel, you have so many options available that making a decision on what to buy can be difficult. Of course, discerning shooting enthusiasts tackle the challenge head-on, knowing that being highly selective is worthwhile for the results. You need to find one made by a manufacturer whose quality standards — for accuracy, technical proficiency, uniformity, ease of use, and more — are even higher than yours. For your consideration, here is some information on Bartlein Barrels, Inc. and their creations. You could have the most advanced and accurate rifle on the market, but there is little you could use it for if you lack ammunition. Of course, poor ammo may be better than no ammo, and any serious sport shooter should shop with a focus on quality as well as quantity. In this regard, you can get more bang for your buck by buying bullets from one of the best in the business. 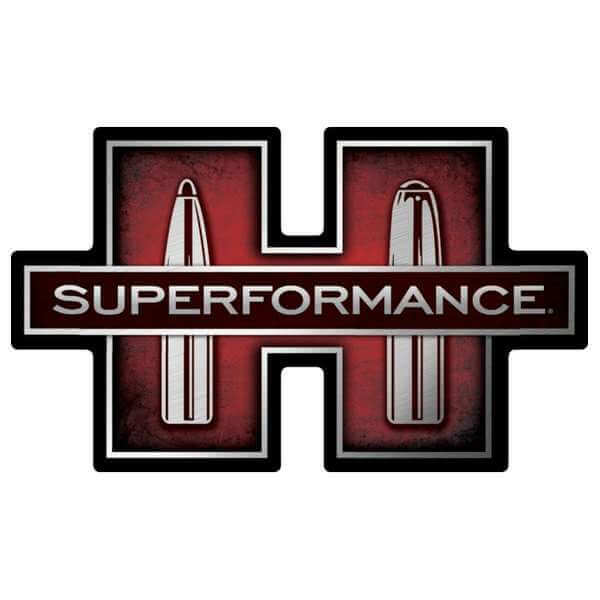 Here is some information on Hornady, the world’s largest independent bullet manufacturer. In Exodus 9:16, God tells Moses to give the Pharaoh on his behalf. Part of the message reads, “But I have raised you up for this very purpose, that I might show you my power, and that my name might be proclaimed in all the earth.” No product can make any human being like God, of course. With that said, Exodus Rifles may be able to imbue you with some of the power of a world-renowned marksman. Here is some information on this rising star in gun manufacturing. OTM Tactical partners with many different manufacturers to provide our customers with a massive inventory of guns and gun parts. However, we are not just a median point between them and you. We have plenty of in-depth knowledge of the inner workings of the products we retail, and that knowledge comes from experience. In addition to supplying products from dozens of other companies, we also create and vend our own custom rifles. 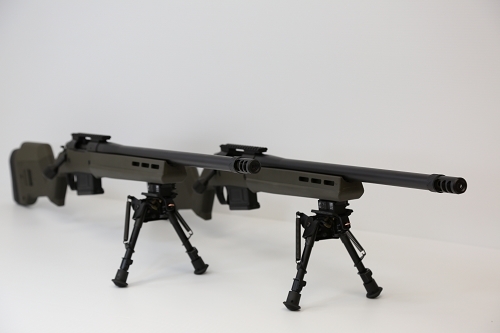 Here is some information on these state-of-the-art machines, as well as how we apply our expertise to design something that any shooting enthusiast might want in their arsenal. Owning a powerful rifle with the latest high-tech accessories is one thing. Knowing how to use it is another thing altogether. But you don’t need to feel down about being a beginner — even the best shot in the world was in your place at some point. You can make the most of your weapon by learning these tips for how to shoot your rifle. This basic guide to the tools and techniques should be enough to help you get started. 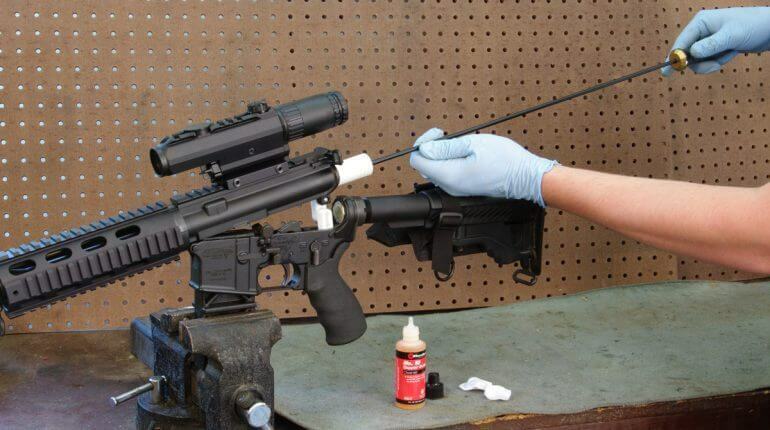 Cleaning your gun isn’t enough to count as proper maintenance. You need to know how to clean it well, so you can make sure that your rifle is in tip-top shape and your accuracy is unhindered. The modern bullet is the culmination of a long series of inventions and innovations. 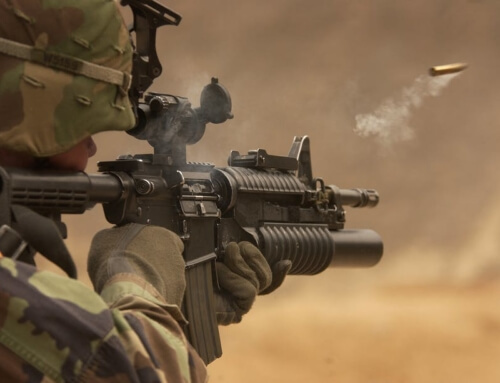 Just like the firearms that launch it, ammunition has its own extensive and fascinating history, which stretches back more than a thousand years. 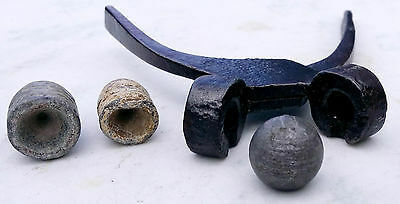 On that note, any discussion on the changes that firearms have undergone over the centuries would be incomplete without also discussing its projectiles. Here is the history of ammunition, from before the first bullet to the latest take on the concept. The gun is up there with the wheel and the alphabet as an invention that has had an incalculable impact on the world. We cannot imagine a world in which they never existed. However, there was a point in time when everything we take for granted now — basic mechanisms, triggers, even gunpowder — had not yet been created. 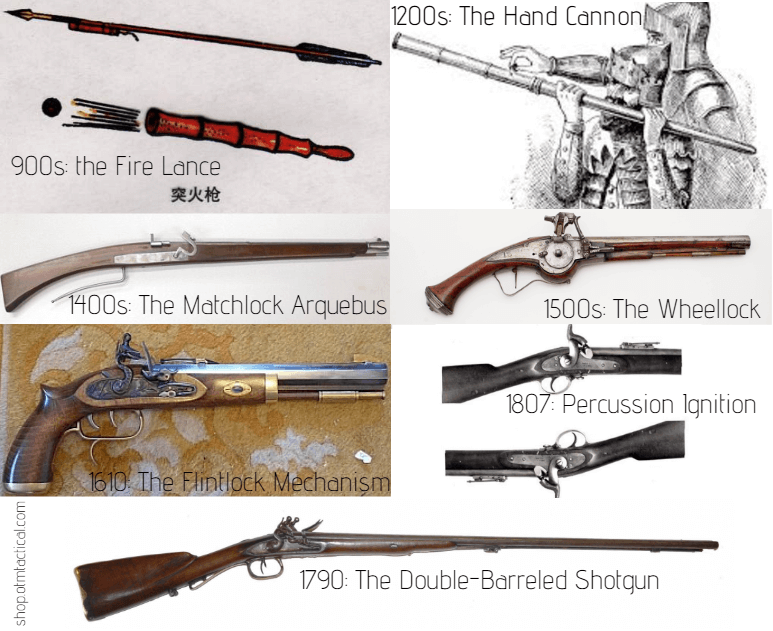 Here is a condensed history of the firearm, with an emphasis on rifles and shotguns. Possession of a gun on its own, even a highly specialized custom rifle, is not the mark of a seasoned shooting enthusiast. The professionals know that their arsenal would be incomplete without the right equipment. After all, without proper maintenance and care, even the most state-of-the-art firearms may suffer quickly, leaving you unprepared for competition or combat. OTM Tactical provides only the best tools for rifles. Here are a few you should consider keeping with your shooting gear. If you've spent any time at all in the outdoors, you've doubtlessly encountered a situation where the right cutting tool makes all the difference. Anything can happen — you could be out in the middle of a national park, setting up camp hundreds of miles away from civilization, or you could be walking near a river in your neighborhood and spot some discarded fishing line tangled in a tree. There are countless reasons people have been carrying knives since humans first discovered how to bash two stones together to make a sharp edge. Sure, they can be used as weapons, but the vast majority of the time, knives are a versatile tool! At OTM Tactical, we get out into nature for all kinds of reasons. Tactical shooting competitions and hunting are both activities likely to see you in the deep woods. The knife you carry with you is as important as your rifle, and in some cases can be more important. And just like your firearm, you need to carry the best! 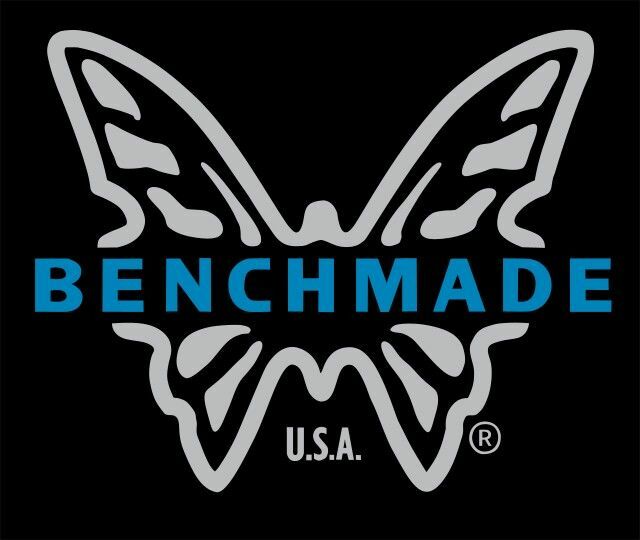 That's why we stock Benchmade knives at OTM Tactical, in an assortment of types suitable for numerous applications. Choosing a rifle chassis is an involved process with tons of variables to consider. How much weight can you handle, and how light is too light for you? Where will you be shooting and how hazardous will the environment be to the materials used in your rifle stock's construction? What length of pull do you need? What trigger, action, barrel, etc. are you going to use? Which accessories might you want to attach? The list goes on. And once you've gone through all that, and finally arrived at the ideal platform for your dream rifle, you might suddenly hit another wall: price! 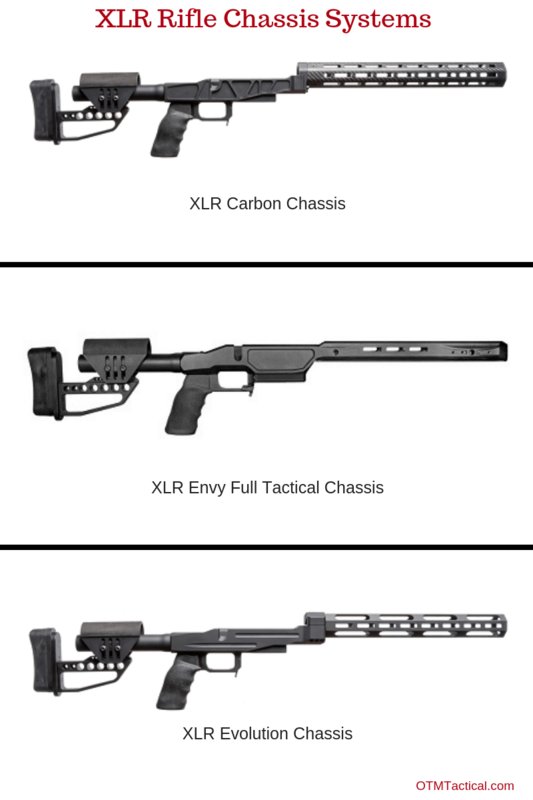 Well, we have some good news: rifle chassis systems by XLR may solve all your problems at an affordable price. Read on to learn why we at OTM Tactical feel XLR is a groundbreaking addition to our selection of top-tier rifle upgrades. Long-range precision shooters know the satisfaction in hitting a target, whether literally or figuratively. It goes without explanation of what a literal target is, but a figurative target is a goal for yourself: a goal to become a better marksman, make better and farther shots, defeat your competition, and overall raise yourself to an ever-increasing level of skill. At OTM Tactical, this is what we're all about. 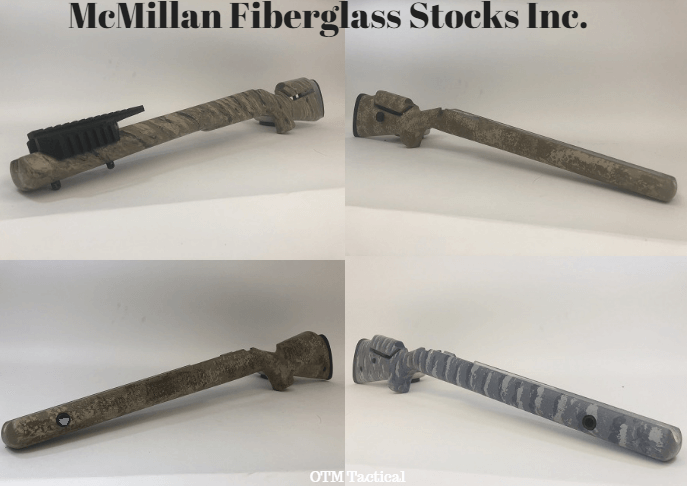 In our mission to bring you the absolute best rifle parts and accessories, we're pleased to carry McMillan stocks at low prices. These are some of the best rifle stocks in the world and truly worthy of their stellar reputation. We're proud to only carry the best at OTM Tactical. We live and breathe competitive shooting and have a deep passion for discovering the best of the best rifle parts, upgrades, and accessories. Our mission is to bring the marksmanship community the finest products by collecting them in our online store. It's our hope that we can serve as your one-stop-shop for top-tier rifle upgrades and information about them to help you make your decision. 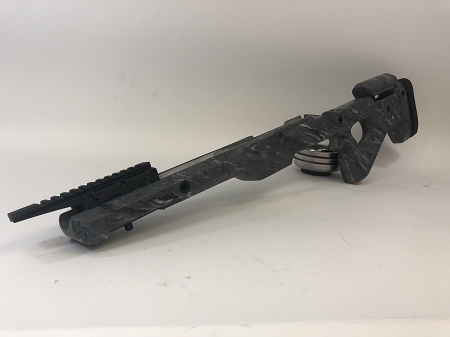 One of the awesome manufacturers you'll find in our online catalog is Bix'n Andy, an Austrian company that makes some truly top-of-the-line triggers. Let's learn more about them. There are several benefits to handloading your own ammunition. Whether you reload spent cartridges or assemble brand new ones, you'll discover certain rewards in doing so. Handloading saves money in the long run, and gives you an opportunity to stock up on ammunition that meets your rifle's specific needs far better than off-the-shelf ammo. Handloaded ammunition is often more accurate, and more satisfying to shoot. OTM Tactical carries the finest reloading equipment available, from the best manufacturers in the industry. 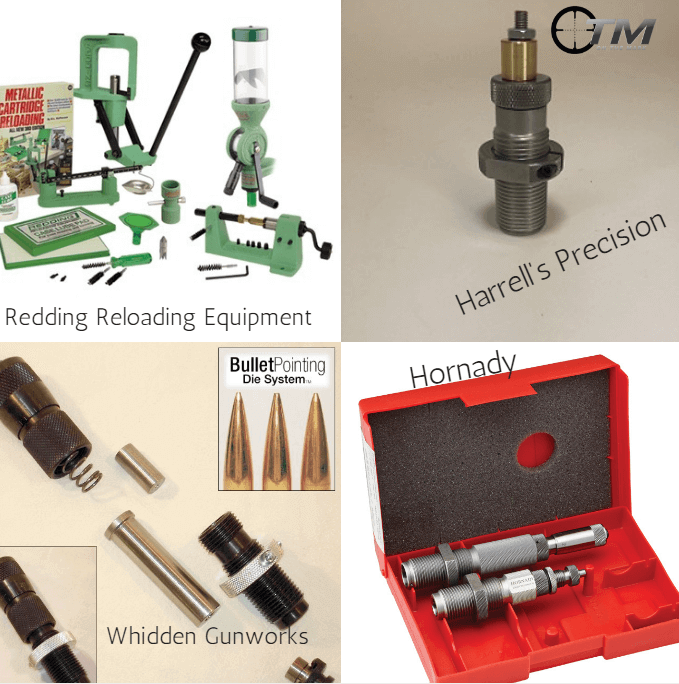 Let's go over the reloading treasures you can find in our online catalog. We carry a variety of rifle optics, each of which has been thoroughly vetted for quality and that fit a range of budgets. OTM Tactical believes the more you know about the rifle equipment you're using, you'll feel better about making that modification or upgrade to your weapon. You'll also be a better shot. Here's a rundown on the manufacturers whose optics we carry. OTM Tactical is always looking to expand our selection of top-tier rifle upgrades for discerning precision shooters everywhere. Whether your focus is primarily hunting, target shooting, or tactical competition, we make it our goal to have what you need. 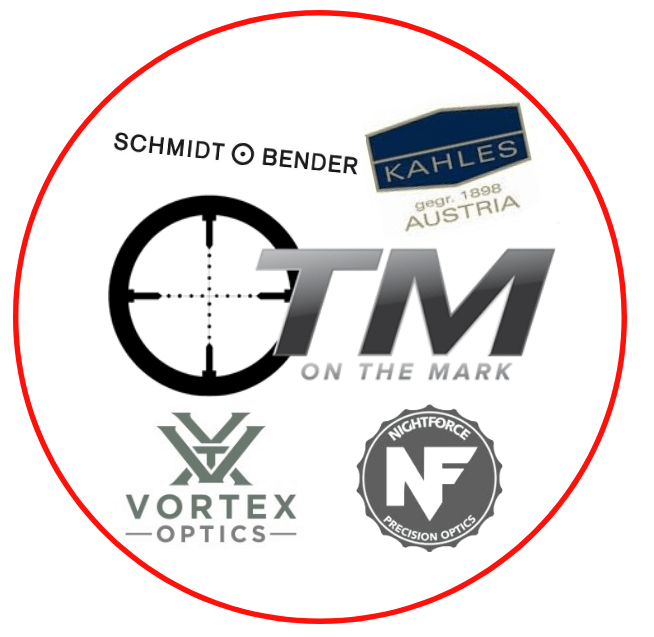 To that end, we're proud to be a supplier of Schmidt & Bender rifle optics, as in our experienced opinion, they're some of the best on the market. You'll find Schmidt & Bender scopes gracing the rifles of competition and military shooters in some of the most demanding venues. 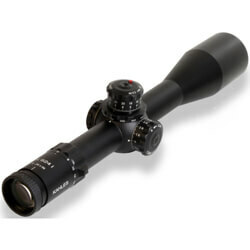 But what is it about Schmidt & Bender that makes their rifle scopes so highly regarded? Let's take a quick look at the company. Perfection is often desired but rarely achieved, even in the world of precision shooting. Even the most accurate shooter with the best equipment always desires something better. We understand that mindset very well here at OTM Tactical — in fact, we live and breathe it. No matter how skilled of a marksman you are, there's always that feeling that you can reach a higher level, especially when you're ready to upgrade your rifle to match your growing capabilities. Does MasterPiece Arms Live Up to Its Name? The serious precision shooter is always on the lookout for an advantage. And that's not to say that equipment can make up for skill, but rather that you need to find equipment of sufficient quality that it doesn't get in the way of your skill — meaning, ideally, that your rifle won’t present any issues that hurt the accuracy you're actually capable of. Problems in construction, assembly, and materials of your firearm can all lead to wild or inconsistent shots, especially with repeated use and the cumulative stresses of recoil, and it's very hard to improve your marksmanship when your own equipment is sabotaging you. How can you get the most out of target practice if you don't know whether it's you messing up, or the gun? At OTM Tactical we cater to all types of precision shooters, including the discriminating handloader. We’ve discussed handloading and its benefits before (see Reload! 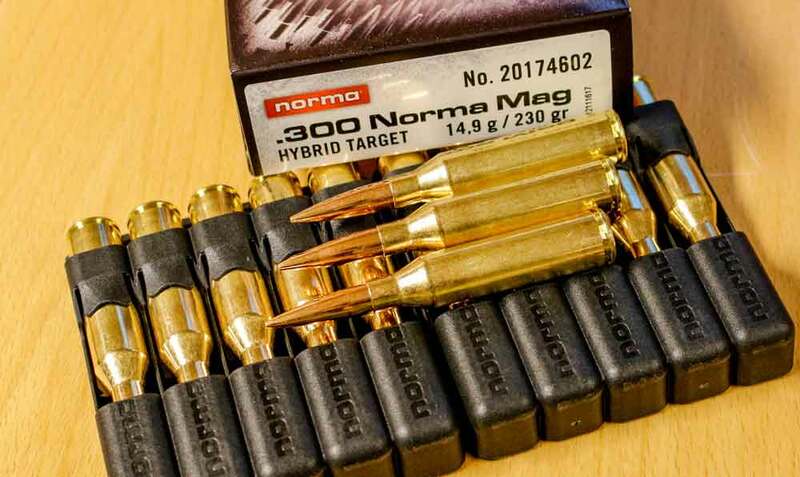 OTM Tactical's Fine Selection of Reloading Brass), and we’re happy to have excellent brass like Norma USA in our catalog. Norma cases stand up to years of repeated use and numerous reloads, and still perform with the accuracy and consistency a serious marksman would expect. Here’s a quick rundown of Norma cases and what makes them exceptional. How do you make precision shooting better? 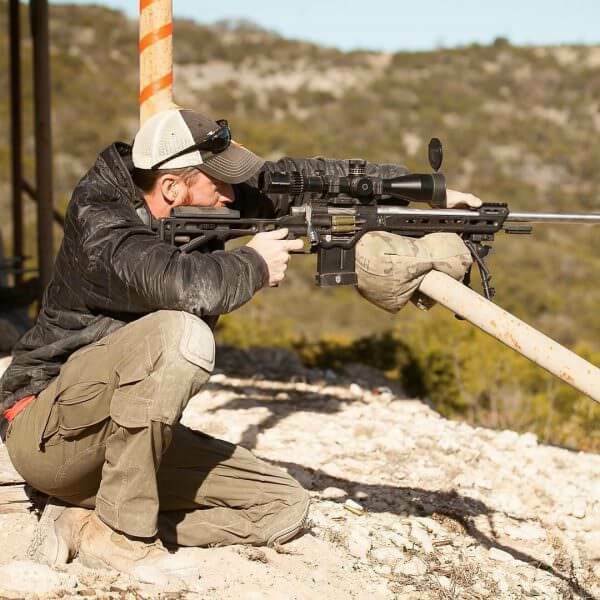 At OTM Tactical, that’s a question we’re extremely interested in, and we feel all serious marksmen will agree — after all, whether you’re a hunter, target shooter, or into tactical competition, you’re always seeking an advantage. And while there’s no substitute for skill and practice, there’s a good reason so many competitive shooters seek to upgrade their rifle piece by piece. A new barrel, a new stock, and other parts can all make a difference in your rifle’s performance — and, naturally, so can a new trigger. 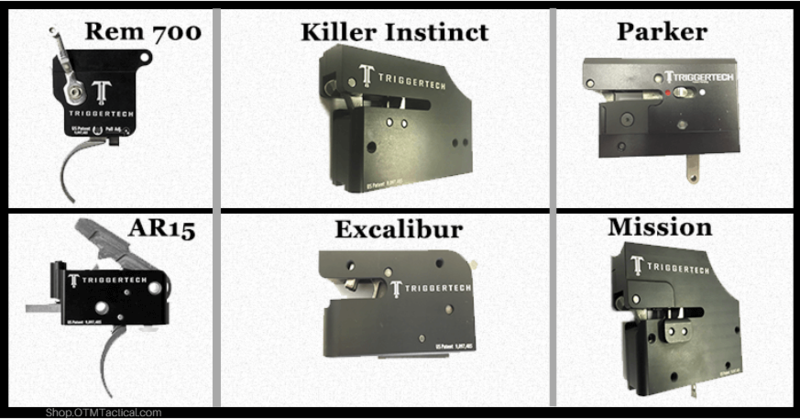 We carry only the best aftermarket rifle upgrades here at OTM Tactical, and we’re proud to include TriggerTech triggers in our catalog. Read on and you’ll see why. At On the Mark Tactical, we go out of our way to provide our customers with the very best. Our selection of stocks, barrels, triggers, ammunition, and other rifle parts and accessories is carefully chosen for quality and performance. To that end, we're pleased to offer Jewell Triggers at some of the best prices in the industry. At OTM Tactical, we make it our mission to carry the very best precision rifle parts and accessories for the most discerning competitive and hobbyist shooters out there. 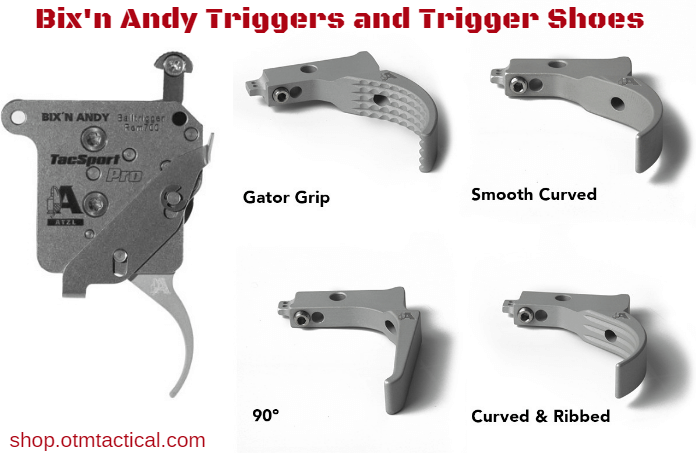 Some of the highest-quality triggers available today are made by Timney, an Arizona-based manufacturer that has been around since the 1940s. Read on to learn more about Timney and how their history has made them who they are today. Any precision shooter worth their salt knows nothing affects a rifle's overall performance as much as the barrel. The barrel has an enormous effect on your range, accuracy, and precision and can make all the difference when hitting your target. A good barrel will send every shot predictably and within expectations. A bad barrel will send your shots wild, and even if only by a fraction of a millimeter, this translates into a huge margin for error far downrange. Rifle barrels need to be manufactured with an eye for detail, and Krieger Barrels has that down to the very molecular structure of the steel they use. In fact, their barrels are created with the same precision you'll require on the range, from beginning to end.